What little girl doesn’t like My Little Pony and Slumber parties?! 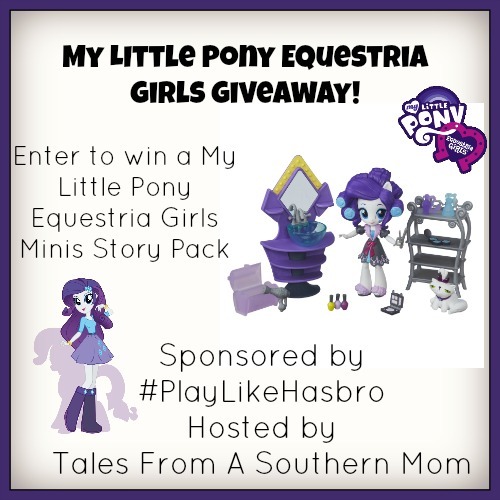 This prize combines them both in a fabulous way, a story pack and an Equestrian Girl Figure! Disclosure: Tales From A Southern MOm and all participating bloggers are not held responsible for sponsors who do not fulfill their prize obligations. Tales From A Southern MOm will receive nominal payment for hosting this giveaway. This giveaway is in no way endorsed or sponsored by Facebook or any other social media site. The winner will be randomly drawn by Giveaway Tools and will be notified by email. The winner has 48 hours to reply before a new winner will be drawn. If you would like to participate in an event like this please contact julie.talesfromasouthernmom (at) gmail (dot) com. I want to win for my girls who love this! 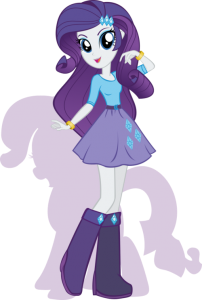 My daughter LOVES My Little Pony and the Equestria Girls! 🙂 Her Birthday is coming up next month and this would definitely be a perfect present for her!